We’ve been swept up in Downton fever, so we couldn’t be more thrilled to learn that the series creator Julian Fellowes has a prequel in the works. Fellowes revealed that he is currently working on the story which would see how Lord Grantham (Hugh Bonneville) and his wife Cora (Elizabeth McGovern) met and fell in love. Initially planned as a book. it is now thought the drama, starring young actors as the couple, will be shown on ITV. 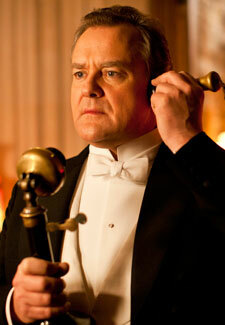 Are you interested in Downton Abbey‘s backstory? Let us know in the comments below.